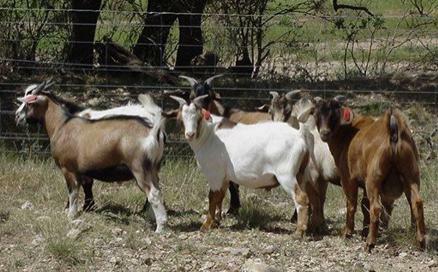 When buyers inquire about availability and price, it is Onion Creek Ranch's policy to ask questions about the buyer's goat-ranching operations, experience, and intended goals so that we can provide the proper type of meat goat to achieve those goals. Since most prospective buyers have never seen any of these goats and many people have misconceptions about what they are, this evaluation process is extremely important. 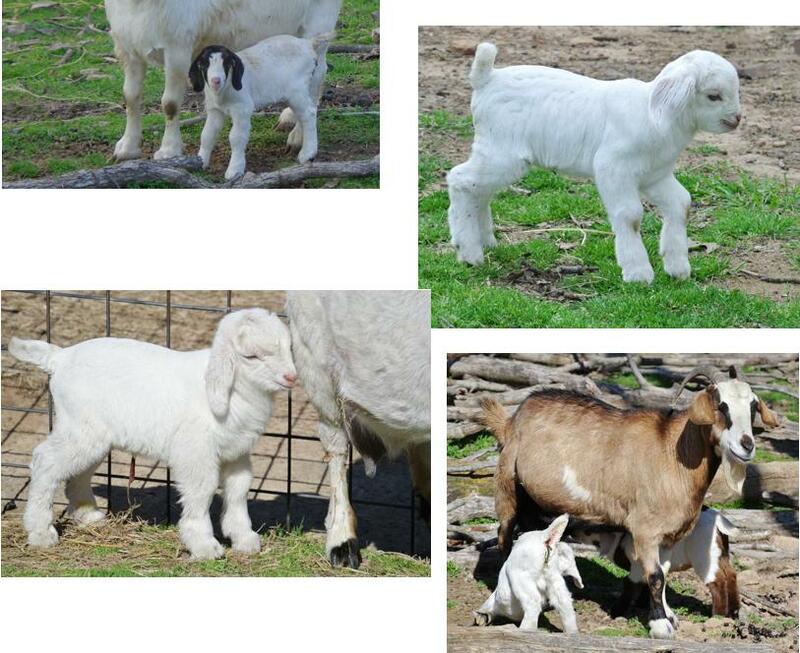 You won't find a Sale page with lots of photos of goats to choose from. That approach doesn't achieve the goals mentioned above. So be patient when you call or write, because the questions are not being asked to be intrusive but instead are asked so that Onion Creek Ranch representatives can best serve your meat-goat breeding stock buying needs. Our success depends upon your success. Buyers may contact Suzanne W. Gasparotto in Texas at 325-344-5775 (email: onioncreek@tennesseemeatgoats.com) or Pat Cotten in Arkansas at 501-679-4936 (email btrocr@cyberback.com). If one of us doesn't have what you want, we will work together to fill your order. TexMaster™ babies are popping out every day in March at Bending Tree Ranch in Arkansas. The Bending Tree Ranch Cupid’s Arrow kids have all arrived as of this week and we are currently welcoming the Bending Tree Ranch Joseph kids. Due to the number of kids being born this month I am having a hard time getting photos of everyone and putting them on my website. Bear with me as I do my best to get them up as soon as possible. 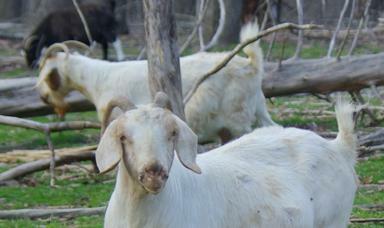 Need help collecting milk and colostrum from uncooperative goats? Try the Handy Milker. See my article in the June 2009 MeatGoatMania issue. Contact us today to reserve your TexMaster™ kids.